Go dungeon-crawling in one of many Atlus' Persona spinoffs, Persona Q: Shadow of the Labyrinth. The Persona 3 and Persona 4 casts certainly have been busy with all of the spinoffs they'll be starring in. We had the chance to preview a Japanese build of Persona Q: Shadow of the Labyrinth at E3 last week and saw that it's a mix of Persona and Etrian Odyssey. While other spinoffs will see the cast in fighting games and rhythm games, Persona Q is a first-person dungeon crawler. 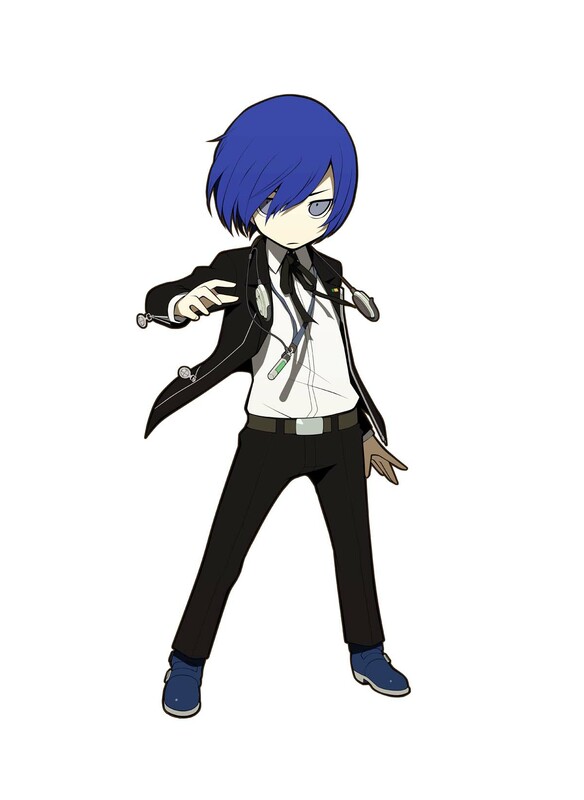 Players can select to play from the perspective of the Persona 3 or Persona 4 cast, fight with their personas, and clear dungeons. The dungeons aren't bland or generic; each one's design is based on a theme. We got to see the first two dungeons, which were themed as Alice in Wonderland and a group date cafÃ© (Ã la Persona 4). Regardless of which cast you choose to start with, you will meet the other cast at the end of the first dungeon. From there, players have access to the full roster and can choose party members from either game, as well as newcomers Rei and Zen, who count as one. 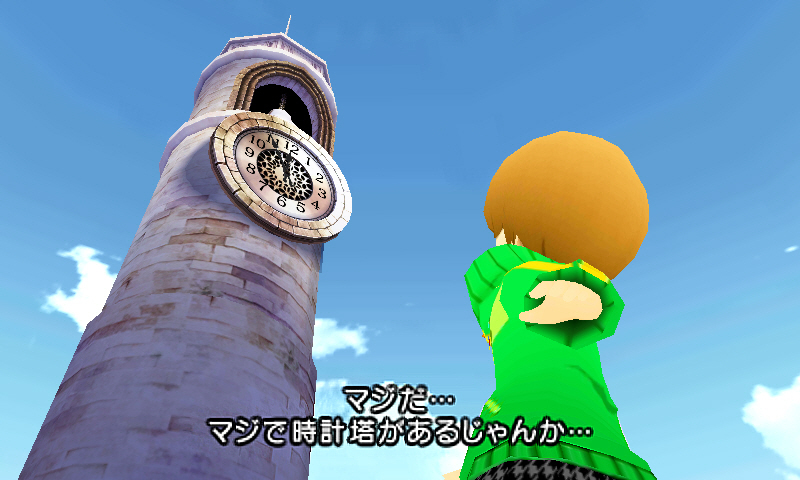 However, the story will be told from the protagonist's perspective of the game of your choosing, so replaying the game from the other side gives new reactions. 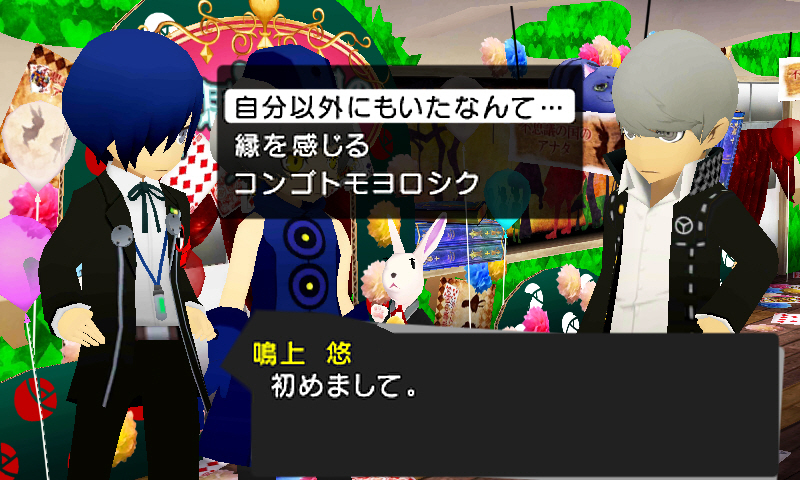 Atlus estimates completing both sides of Persona Q will take about 80 - 100 hours. We primarily saw the Persona 4 cast's side of the story. The new chibi art style may throw some people off a bit, but some characters - particularly Teddie and Nanako - transition really well to this style, making them even cuter. While exploring dungeons, players will battle against shadows like in Persona as well as FOEs (Field on Enemy-types) from Etrian Odyssey. 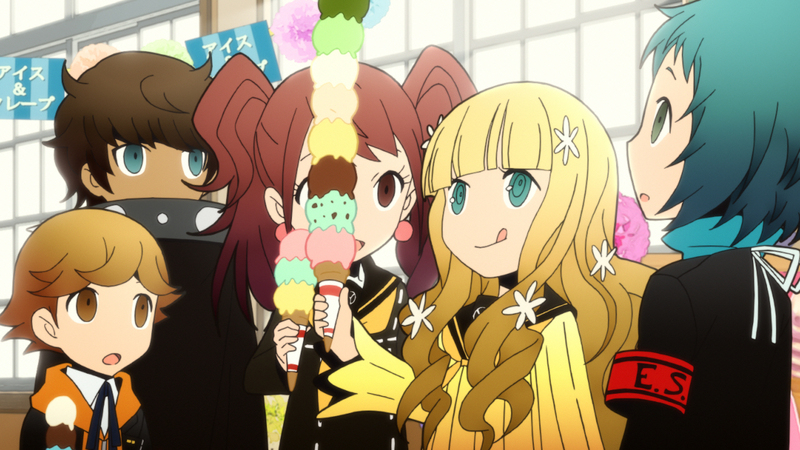 New to Persona Q is the ability for characters besides the protagonists to have more than one persona to use. Each character still has their main persona, but they can equip a sub-persona for more skills. 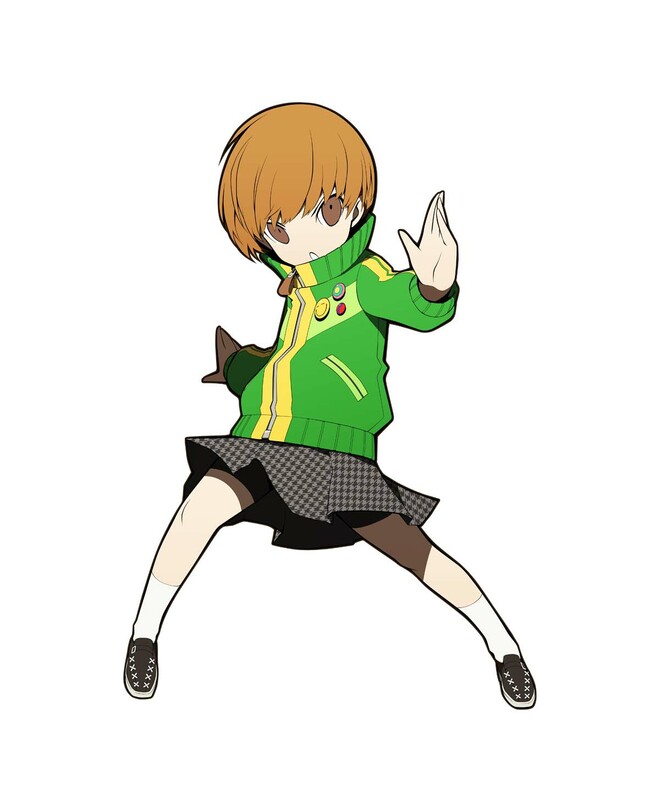 Just like in Persona, players can use their personas to exploit enemy weaknesses and create all-out attacks. 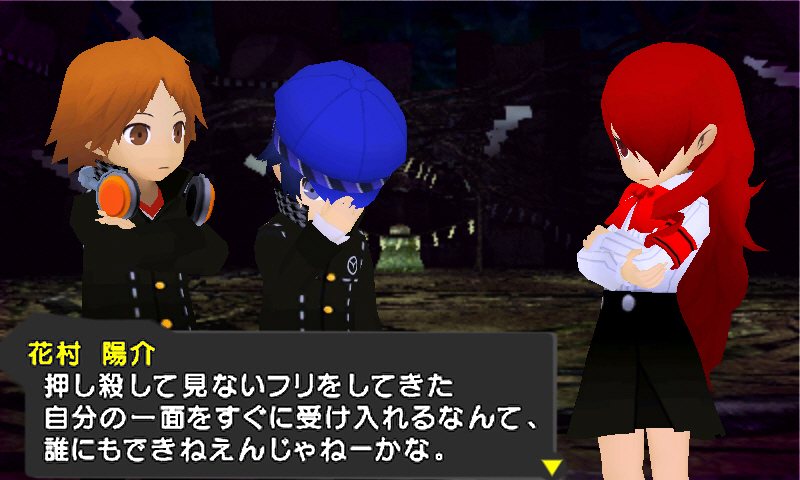 Navigators are back, so both Persona 4's Rise and Persona 3's Fuuka can issue instructions to the player. The navigators can be used for combat and/or outside of combat, meaning Rise could navigate combat while Fuuka navigates outside of combat, or vice versa, or you can choose either of them to fulfill both roles. 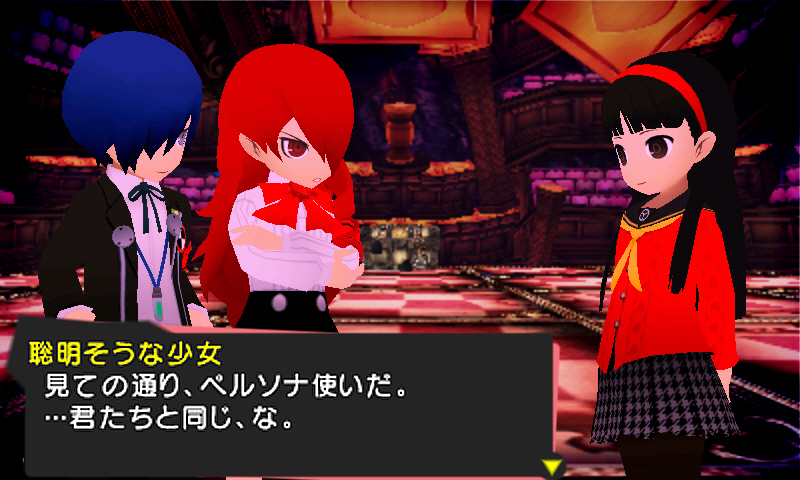 Persona Q has two new characters named Zen and Rei, who both wear Yasogami High uniforms like the Persona 4 cast. Much of the game takes place in the dungeons, but characters can buy equipment and items, fuse personas, and converse with characters while at Yasogami High. However, you don't need to solve people's life problems and date them; social links and day-to-day activities are not a part of Persona Q.
Streetpassing will be a part of the gameplay, but Atlus couldn't elaborate further. Additionally, Atlus hinted that Persona Q is "technically" canon, but is keeping the reason under wraps due to story spoilers. 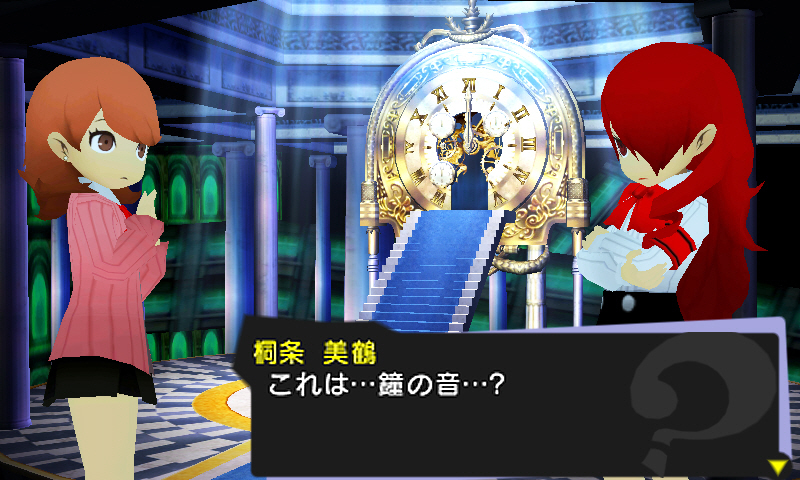 When Persona Q was first revealed, I was unimpressed with it; I thought other spinoffs looked more fun. Having seen the game firsthand, I'm more excited than I thought could be about it. I'm still not confident it'll be on the same par as something like Persona 4: Golden, but Persona Q looks like it's at least going to be a charming spinoff. 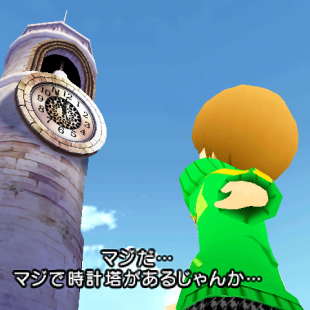 Persona Q: Shadow of the Labyrinth launches in North America and Europe this fall for the 3DS.